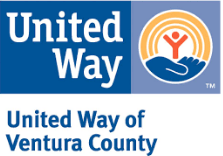 For nearly 75 years, United Way of Ventura County has been the most effective and efficient way to make a difference here in our communities. It is still one of the best ways to make an investment where you live and work. Beyond simply making a contribution, United Way understands that you really want to make a difference right here in Ventura County. You want to see your gift is making the largest impact, working for the greatest good, and improving the lives of those who need help most. That’s why we focus on the underlying causes of the most serious problems, focusing on health, financial empowerment and education. Community leaders from all walks of life—business, government, nonprofits, and ordinary citizens—give financial support, time and energy to United Way to create long-term, lasting change. The supporters’ efforts empower us to touch lives with help and hope, making this a more compassionate, caring place to live for our kids, our families and our whole community. United Way is focused on creating lasting change, right where you live.